East Palo Alto Tennis and Tutoring, other wise known as Epatt, is a non-profit organization located in Stanford, California. Epatt's mission is to help children from the lower income neighborhood of East Palo Alto excel in both academics and athletics. In the summer of 2014 Epatt decided to create a STEM summer program. Their goal was to make young children engaged in the fields of science, math and engineering. 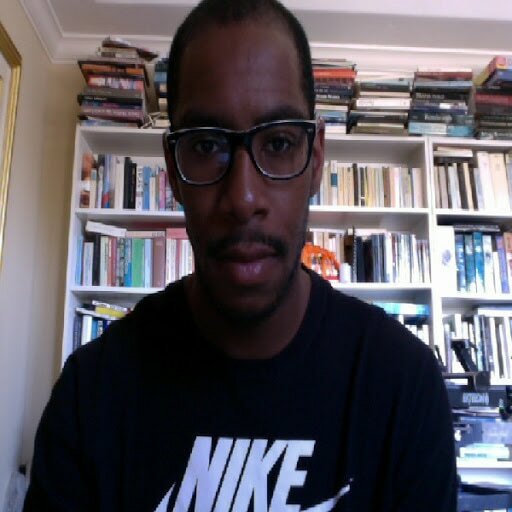 In order to accomplish their goals Epatt sought to incorporate computer programming into their program. We, at Everyone Deserves A Byte, introduced Tynker to Epatt and it was an immediate hit with the students. Children were hooked on the program from day one. Some even asked the volunteers how they could log on at home and continue to program! As the program progressed even the volunteers and teachers themselves began to become engaged in Tynker. By the end of the program numerous children were exclaiming that they would love to code more. This is the kind of story that exemplifies what Everyone Deserves A Byte Stands for. We strive to provide all children with the opportunity to learn programming despite financial obstacles. As shown by the success at Epatt, children truly hold the key to the future. "I first learned of Tynker when Avanika sat down with Kesha and me to explain the goal of the program. Working with Avanika on the tennis courts, I had never considered coding for fun, or as a potential career. Once EPATT decided to introduce the program to our students during our summer program, I knew in order to best help the students, I would have to play with the program, which I actually enjoyed. Tynker is a program that engages students and leaves them wanting to code more, even when they're not at EPATT. As a result of playing with the program myself, the opportunity to become a coder as a profession seemed very reasonable, and able to accomplish. Because of my experience with Tynker, I am now studying to pursue a career in computer science. Thanks, Avanika and Tynker!" Brindavan is a school in Karnataka, India for children with learning disabilities with over 350 students. Studies have shown that programs such as Tynker aid children in educational endeavors. After successfully receiving funding though Everyone Deserves A Byte, Brindavan has begun using Tynker. The students are enjoying Tynker! 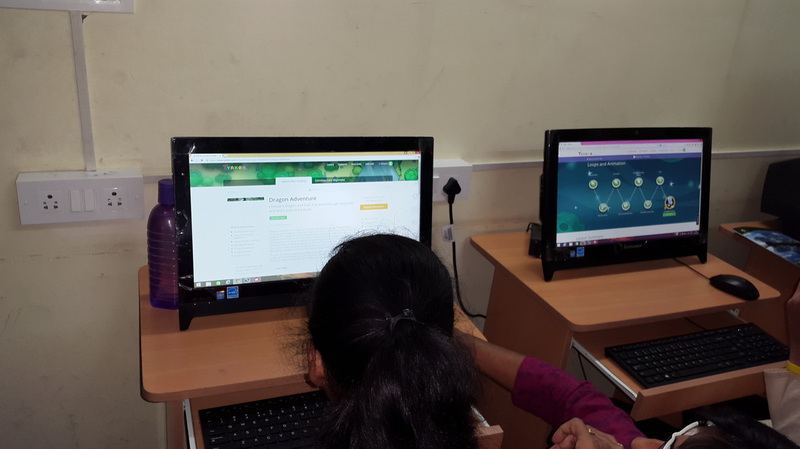 "Students in the age group of 9 to 13 years at Brindavan Education Trust have been using Tynker. It has been well received by students and teachers alike, and all of them look forward to it. While some teachers use it as a reward for a job accomplished or a behavioral target met, some others have incorporated ‘tynker time’ as part of their curriculum in their weekly time table. At Brindavan this interactive computer program is used to reinforce different skills in students from perception, counting, estimating, motor skills, turn taking, time sharing, reading, following instructions and generalization of skills to name a few. It also helps us in evaluating the skills of the students, and sheds light on areas of improvement for students. Foundation for a College Education (FCE), is a non-profit based in East Palo Alto, Ca. FCE aims to increase the number of students of color from East Palo Alto that graduate from a 4-year university. EDAB introduced Tynker to FCE's middle school STEAM program. FCE's STEAM is a year long program for middle school students from East Palo Alto, East Menlo Park, and Redwood City. Its learning curriculum enables students to acquire design thinking skills and implement meaningful projects in technology and science. 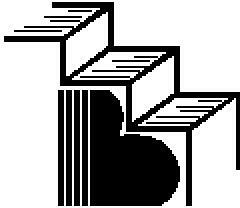 Before we approached FCE, there STEAM program lacked a computer science component. With the help of EDAB, FCE's STEAM program now contains a computer science education as a part of its curriculum. 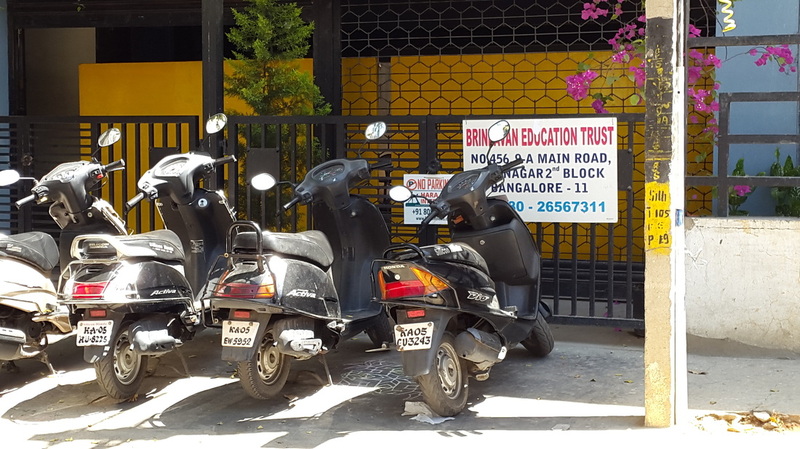 Bharat Sevadal School is a public school in Bangalore, India. The school has students in grades 1-10. The school has an enrollment of 400 students. The children come from economically challenged backgrounds and a majority of the students' parents have never attended school in their life. EDAB introduced Tynker to the students in grades 5-9 providing these students with an opportunity to learn computer skills. In doing so, EDAB has offered these children a window to the world of technology oriented career pathways. EDAB is in the process of introducing Tynker to the Boys and Girls Club of the Peninsula (BGCP) in East Palo Alto. We are introducing Tynker to students in grades 4-7. BGCP aims to give at-risk youth a safe place to build positive peer and adult relationships. Many of the students in BGCP's programs are from Redwood City and East Palo Alto. EDAB is in the process of introducing Tynker to DreamCatchers: an after-school program located in Palo Alto, CA. DreamCatchers main goal is to close the opportunity gap in Palo Alto and help low-income middle school students succeed. DreamCatchers creates a vibrant after-school environment which enables students to learn to thrive. Through a dedicated team of tutors and classroom directors, DreamCatchers is building a community of students who learn to believe in their own potential.